The Monday morning traffic at the signal was shaken out of its slumber by the wail of an ambulance. 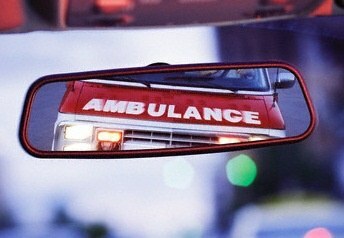 As the traffic made way for the ambulance I was reminded of the time when I last rode in an ambulance. It was in the last week of May this year when I rode in an ambulance when we were moving my dad from one hospital to another twice. Despite the difficult time that I found myself in, I could not stop watching the drivers / support staff in the ambulance. These angels of mercy deserve a lot of our appreciation and our prayers for their roles which are seldom appreciated or thanked enough. It may appear that those driving an ambulance operate from a position of strength; you know a blaring siren, traffic making way sometimes assisted by the traffic cops and most decent people leaving the way clear for the ambulance. 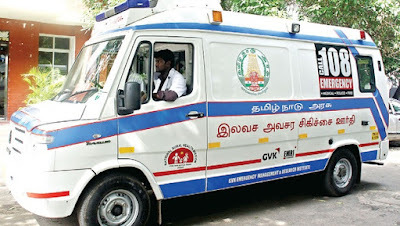 Reality is otherwise, the ambulance drivers put their lives at stake each time they go out on the roads in the mission of saving the ones in their care. I was fascinated by the driving skills and the precision that comes from training on the roads, both the drivers I observed drove with inch perfect precision squeezing through impossible looking corners and never losing their composure despite the pressure they were operating under. The first ambulance was from EMRI (108) the two young men who operated that ambulance multitasked between themselves, from moving the patient, first aid, moving the gurneys etc. Though they appeared to be a little rough in the way they handled patients they did not leave their posts despite the long hours and missed food when they were with us. The driver also gave a complete inventory of all the things at the site of the accident where they picked up my dad and also gave us small words of reassurance. At the end we gave them some money as is the custom but I am not sure if that and the words of thanks can ever be enough. 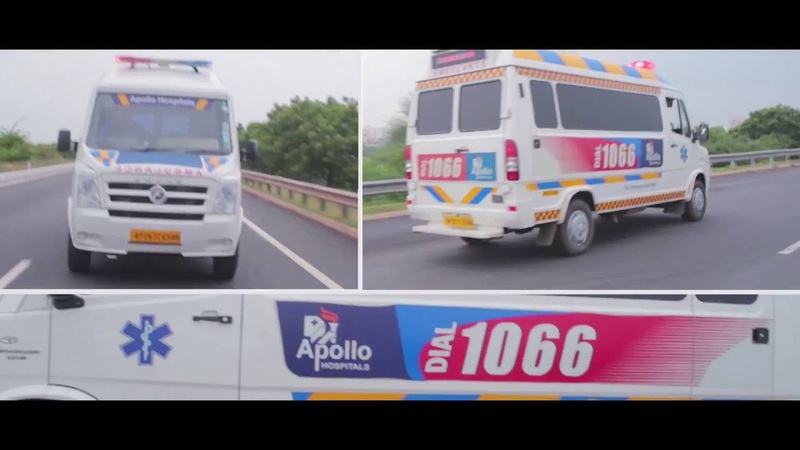 I managed to have a few words with the driver of the second ambulance which came from the Apollo Hospitals (1066). Compared to the EMRI hospitals this ambulance is a world apart. Though both the ambulances are built on the Force Traveller chassis the insides are as different as a government hospital and the Apollo. I was informed that the ambulance supports minor surgeries and is adequately kitted for the same. Every ambulance came with an attending doctor and their operating protocols were amazing to behold. They handled patients very gently and their kit was also superior. What seemed to be amiss among the professionalism was the apparent steel in the personnel which was removed from the warmth in the clumsiness of the other crew. The driver of the Apollo ambulance drove the vehicle like a limousine, it was so incredibly smooth and I do not recollect any bumps on the way. The training for these crews is quite extensive and they have regular assessment tests for the same. The next time you hear an ambulance, make way for the same each time and every time, every passing minute could be life-saving. As the ambulance passes say a prayer for the patient in the ambulance and another prayer for the unsung warriors the lifesaving angels who put their lives on the line so that the ones in their care get well. P.S. My dad passed away on June 1st from the injuries suffered from a fall off his scooter. He was sent to the hospital by an unknown good samaritan. After the fall he was under the care of the ambulance crew of 108 till the hospital doctors took over.